UNITED NATIONS, September 7 – On his way back from Jakarta earlier this month, US Secretary of State Mike Pompeo was asked about Iran sanctions, see below. Now on September 7, after the attack on Iran's facility in Basrah, this from US State Department's spokesperson Heather Nauert: "Under the Iraqi constitution, the right to peaceful protest and the duty to protect public and private property go hand in hand. The United States condemns violence against diplomats, including that which occurred today in Basrah. We call on all parties, including security forces and protesters, to uphold the right of peaceful protest and to protect diplomats and their facilities. " On September 1, Spokesperson Nauert gave these two read-out on Iraq: "Secretary of State Michael R. Pompeo spoke with Prime Minister of Iraq Haider al-Abadi to reaffirm U.S. support for Iraq’s efforts to form a moderate, nationalist, Iraqi government, pursuant to the constitutional timeline that is responsive to the aspirations of the Iraqi people. The Secretary emphasized the importance of safeguarding Iraq’s sovereignty during this critical time. Finally, the Secretary underscored continuing U.S. support for a strong, sovereign, and prosperous Iraq as outlined in the bilateral U.S.-Iraq Strategic Framework Agreement." And, "Secretary of State Michael R. Pompeo spoke with Vice President Ayad Allawi of Iraq, to discuss political developments in Iraq and Baghdad-Erbil relations. He stressed that formation of a new government is a sovereign Iraqi process that should proceed according to Iraq’s constitutional timeline and reflect the will of Iraqi voters. Secretary Pompeo emphasized that the United States hopes to see a strong Iraqi government that includes all communities and serves all of the Iraqi people." We hope to have more on this - even as UN Secretary General Antonio Guterres bans Inner City Press for 60 days and counting amid its reporting on UN corruption. Earlier still in the summer before going on vacation location UNdisclosed after ousting and banning the Press, UN Secretary General Antonio Guterres held an UNdisclosed meeting with Jared Kushner, and a late night get-together on June 14 with Nikki Haley and other Permanent Five UN Security Council members, Inner City Press witnessed and exclusively streamed, here. On June 18, with still nothing from Guterres' spokesperson's office, Inner City Press asked lead spokesman Stephane Dujarric, UN transcript here and below. Dujarric and Qatar-funded Al Jazeera worked together to try to further restrict Inner City Press in the UN (Inner City Press was in fact ousted on June 22, video here, story here) - then banned Inner City Press altogether since July 3 (with no response from Al Jazeera). On August 17 alluding to Inner City Press making some unnamed member states and media - who? - unconfortable, Guterres' Alison Smale banned Inner City Press from the UN for life. On August 27, US Secretary of State Mike Pompeo said, "Today, oral proceedings before the International Court of Justice (ICJ) began in The Hague on an application for provisional measures in a case brought by Iran against the United States, Alleged Violations of the 1955 Treaty of Amity, Economic Relations, and Consular Rights. Iran’s filing with the ICJ is an attempt to interfere with the sovereign rights of the United States to take lawful actions, including re-imposition of sanctions, which are necessary to protect our national security. The proceedings instituted by Iran are a misuse of the Court. We will vigorously defend against Iran’s meritless claims this week in The Hague, and we will continue to work with our allies to counter the Iranian regime’s destabilizing activities in the region, block their financing of terror, and address Iran’s proliferation of ballistic missiles and other advanced weapons systems that threaten international peace and stability. We will also ensure Iran has no path to a nuclear weapon – not now, not ever. The United States stands with the Iranian people who are longing for a country of economic opportunity, government transparency, and freedom from oppression." Meanwhile at the UN, beyond Guterres' silence and censorship of Press he is covering up corruption, still not even setting up an audit into CEFC's bribery in the Organization, being exposed in Federal court where Guterres' UN claims total impunity. On August 24 on Iran, US Special Representative for Iran Brian Hook said, "the European Union’s August 23 announcement of a new $20.7 million payment that will “widen economic and sectoral relations” between Iran and Europe sends the wrong message at the wrong time. Foreign aid from European taxpayers perpetuates the regime’s ability to neglect the needs of its people and stifles meaningful policy changes. More money in the hands of the Ayatollah means more money to conduct assassinations in those very European countries. The Iranian people face very real economic pressures caused by their government's corruption, mismanagement, and deep investment in terrorism and foreign conflicts. The United States and the European Union should be working together instead to find lasting solutions that truly support Iran's people and end the regime's threats to regional and global stability." Will Guterres say anything, if only to Al Jazeera? Watch this site. On August 5 Mike Pompeo told the media on Iran: "Foreign Minister Zarif was really working the room there this last week at ASEAN, and he seemed to be – according to his tweets, he seemed to be suggesting – he was talking to a lot of people about ways to evade sanctions, which he – U.S. sanctions he described – he characterized them as extortion and the U.S. being addicted to sanctions. I was wondering if you thought he made any progress and it’s going to be difficult to get everyone to go along with both the ones tomorrow and the ones coming up in November. SECRETARY POMPEO: Yeah, so the President and I too have been very clear. We’re very hopeful that we can find a way to move forward, but it’s going to require enormous change on the part of the Iranian regime. They’ve got to – well, they’ve got to behave like a normal country. That’s the ask. It’s pretty simple. And so we think most other countries – everyone with whom I spoke understands that they need to behave normally, and they understand that this is a country that threatens them. Right, we’ve got assassinations taking place in Europe, we’ve got – I could go through the list of malign activity throughout the region. It’s – these folks are bad actors and the President is determined to change their direction. Of course, I think he said this morning, hey, we’re happy to talk if there’s an arrangement that is appropriate that can lead to a good outcome. Perhaps that’ll be the path the Iranians choose to move down. But there’s no evidence to date of their desire to change and behave in a more normal way. QUESTION: Will they be able to break sanctions, though? SECRETARY POMPEO: The United States is going to enforce these sanctions. We’re going to enforce these sanctions. (Inaudible.) Just go look at the reporting on what’s taking place. The Iranian people are not happy – not with the Americans, but with their own leadership. They’re unhappy with the failure of their own leadership to deliver the economic promises that their leadership promised them. This isn’t – this is just about Iranians’ dissatisfaction with their own government, and the President’s been pretty clear. We want the Iranian people to have a strong voice in who their leadership will be." We'll have more on this. When UN Spokesman Dujarric led only Al Jazeera into the UN Press Briefing Room on June 19 for a faux press conference to provide Guterres' response to Trump leaving the Human Rights Council and Inner City Press live-streamed it, Dujarric and the Al Jazeera trio he led in -- James Bays, Whitney Hurst and cameraman Bradley McLennan who went in before Pompeo and Haley made the announcement - are trying to further restrict Inner City Press. How can one journalist, with the now required UN minder, live streaming three correspondents and a spokesman be threatening? It like the fake injuries in the World Cup. We'll have more on this. Inner City Press: will you provide a readout of the meeting of the Secretary-General with Jared Kushner and Jason Greenblatt? And also, will you confirm and, to some degree, read out or explain the lack of a readout of what appears to have been a contact, as you said, between Secretary-General, Nikki Haley, and other P5 ambassadors on Thursday, 14 June? What was the topic and what was…? Spokesman: I have no… the Secretary-General regularly meets with the P5. I have nothing further to say. The meeting… there was a meeting that took place at the residence on [Friday] with Ambassador Haley and Mr. Greenblatt and Mr. Kushner. They discussed situation… the Middle East peace process, the humanitarian situation in Gaza, and recent UN developments that took place here in connection with the Israeli-Palestinian conflict. Inner City Press: that's what I was going to ask you about, because the White House did put out a readout. And I guess I'm just wondering, what is the standard for you guys putting out a readout? It seems like at least the second of those was not just with ambassadors. It was a pretty high-profile meeting. Spokesman: I understand. We've… people asked us questions. We responded to those questions." But Dujarric often does not respond to Inner City Press, which was not informed of a "background briefing" on June 18 by the Secretariat. We'll have more on this. So what was the relation between Guterres' June 14 dinner with the P5, and June 15 meeting with Kushner and Greenblat? Only the US did a read out - Guterres and his spokesman typically are silence and untransparent. Both restrict Inner City Press, which exclusively reported the June 14 dinner and Guterres' stalled attempt to move jobs out of New York to Mexico City. It's called retaliation and censorship. At 11 pm on June 14 from the publicly owned mansion where Guterres stays when he is in New York Nikki Haley emerged, into a 4x4 followed by another one of security. France's Francois Delattre emerged with his wife and got into a black luxury car, as did China's Ma Zhaoxu. The UK's Karen Pierce, to her credit, had no car idling and waiting for her, and headed south on foot. 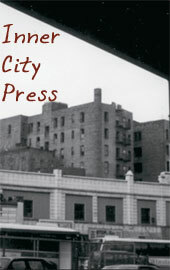 When Inner City Press first arrived, it merely tweeted a still phone. Already evicted from its office in the UN for pursuing the Ng Lap Seng UN bribery case, Inner City Press has been informed that the reason or pretext for keeping it restricted is that by live-streaming from the sidewalk across from Guterres' publicly funded mansion it had somehow put Guterres at risk. So, for a month, Inner City Press shot only non-live video, none of it yet published. But when Inner City Press arrived on June 14, after publishing 10 stories ranging from Yemen to Cameroon, Nepal to Mali to the World Cup, there were five black luxury or security vehicles in front of the UN's mansion. 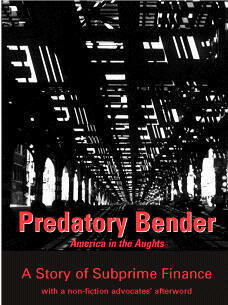 Inner City Press tweeted a photograph, did a long Persicope it didn't save, then a shorter one that it did. Such a P5 dinner is objectively newsworthy: there is no basis for the UN's attempt to intimidate the Press from covering such events. It's just that others don't. The decline at the UN of basic transparency under Antonio Guterres hit a new low, with his May 10 "Senior Managers Compact Ceremony" being made closed press, unlike under Ban Ki-moon, and Inner City Press being ordered not to live-stream his May 11 meeting with Finland's foreign minister, despite UN Television shooting video and audio of it. 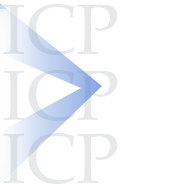 Inner City Press put online here on Scribd, here on Patreon, the Department of Public Information's Alison Smale's 2018 Compact, which has nothing about treating the Press which covers the UN fairly. Ironically, in light of the May 11 banning of Twitter Periscope use by Inner City Press, Smale's Compact speaks of new media: increasing social media account usage by 5%, specifically mentioning Twitter, as well as China's Weibo. It mentions Google's YouTube, and UNTV's audio and video, to increase public awareness of the UN. So why ban Inner City Press' Periscope? Why keep Inner City Press confined to minders, while giving its office to no show Egyptian state media, and a now empty office to the "Turkish Journal"? What are the rules? Smale has not answered this. Spokesman: There was a family photo. The signatures of the compacts were, in fact, done by… each senior official did it on their own time. This was the first time the Secretary-General met with them after it had all been done and finalized. Spokesman: And I'm… go ahead. Go ahead. Inner City Press: you don't see it as inconsistent that it used to be open and now it's closed. Spokesman: Your next question, sir. Inner City Press: Okay. The next question has to do with also financial disclosure. In looking at the financial disclosure provided in… link at the bottom of the Secretary-General's page, it seems like there's a number of USGs that are not on the list, one being Alison Smale of DPI, one being Mr. Lacroix of DPKO. And I'm just wondering, in the past, if people weren't going to disclose, they would say… there would be a piece of paper… you'd click it, and it would say "I'm not disclosing". That was then changed to just their names are not on the list. Spokesman: I'll check it. I can't speak to it off the top of my head. Masood." Six hours later Dujarric closed his office, without providing any answer. Smale has yet to answer detailed petitions for fair treatment of the Press, while awarding Inner City Press' office to no-show Egyptian state media Akhbar al Yom, and a similar space to unknown Turkish Journal. This is censorship. We'll have more on this - and more Compacts and Evaluations. On May 11, with no answer from Dujarric, Inner City Press asked deputy spokesman Farhan Haq, UN transcript here: Inner City Press: Yesterday, I had asked Stéphane about the… the… the compacts and also the public financial disclosure on the Secretary-General's website. He said he would look into why both… just as an example Under-Secretaries-General [Jean-Pierre] Lacroix and [Alison] Smale don't… there's… there's no… they're not included on the list. Do you have an answer on that? Inner City Press: Right, but does it mean that they have chosen to opt out of the public financial disclosure? Inner City Press: And I wanted to ask about the compact. I'm sorry, this is on the same topic. Yesterday, Stéphane said these compacts are… are representative of transparency, et cetera. So, I wanted to know. I've seen some of them, but are they… are these compacts meant to be available to the public? And also, it seems that, at least as I've seen them, that Jan Beagle, there is no compact, or as of yesterday late afternoon. Although other Under-Secretaries-General had a 2018 compact, Department of Management did not. Is there a reason for that? Deputy Spokesman: "I think Stéphane said all we have had to say about the compacts yesterday. I don't have anything to add." Why aren't the compacts public? We'll have more on this. Three days after UN Secretary General Antonio Guterres had his UN Security hinder Inner City Press from covering his Portuguese language garden party in the UN, now Guterres has invented a new restriction on longstanding UN photo opportunities, limited them to undefined "photo agencies only." Guterres' spokesman Stephane Dujarric acknowledged to Inner City Press in writing that this is something new, but has yet to explain what the definition is, why the restriction is being imposed and who is behind it. Ultimately, it is Guterres, increasingly untransparent. Inner City Press asked Guterres' spokesman Dujarric two rounds of questions about this on May 9, ultimately with Dujarric saying it was "self-centered" to even ask - this hours before Inner City Press was banned from covering Guterres' UNdisclosed 3:30 pm meeting with Al Sharpton, unlike another photographer. From the UN's May 9 transcript, video here: Inner City Press: this morning, Rosemary DiCarlo was sworn in as the new Head of Department of Political Affairs (DPA). And, in the media alert, I didn't realize you were this closely in… in… in charge of it, but it says, "photo agencies only". So, apparently… I guess I'm wondering, this is a change, and you've described this as "photo agencies are entities whose main purpose is photo coverage". Spokesman: That would seem logical. Spokesman: Okay. I think the question was to me. I'm trying to bring some rationale in the way photo ops are organized. I think entities who do photo coverage on a regular basis, whose primary goal is to do photo coverage, like the photo services of the wires, will be covered by it. There are other photo ops where there will be comments and speaking will be open to a wider range. Inner City Press: But my question… you said entities, number one, so the primary purpose… you're now saying that entities can have different components. Is this directed at a smaller media I just would like to know… It's kind of tumbleweeds up there. There's nobody there. Spokesman: It's directed at rationalizing the process, as I see it. Thank you. Inner City Press: So is the list going to be made public? I'm asking you. Spokesman: Thank you. Michelle, sorry, Michelle, did you have a question?" That would be Reuters. This comes after Inner City Press covered Guterres offering "warm regards" to Egypt's anti-press Sisi, to whose state media Akhbar al Yom Guterres and his Alison Smale are awarding Inner City Press long time UN work space. Now Guterres is trying to select who can cover his swearing in of new Political Affairs chief Rosemary DiCarlo, and his meeting with Martin Luther King III. Both were listed as "photo agency only." Inner City Press asked Dujarric, "please explain in tomorrow's Media Alert the new use of this phrase: “Photo agencies only” - why has this been added? What does it mean? Who defines it? What is the reasoning / purpose?" Dujarric replied, "As for the media alert, this is for events that are photo-ops only. We will have UN photo, UN TV and photo agencies only. Yes, it’s a new thing." Inner City Press has asked Dujarric and his deputy Farhan Haq: May 8-1: Where is the definit[ion] of "photo agencies"? May 8-2: Separately, what is the purpose of trying to limit access to usually ill attended photo ops? May 8-3: Who decided on this 'new thing'?" Shortly before the 9:25 am deadline, Dujarric replied, "i’m trying to bring a bit more order and sent to how we do photo ops. “Photo agencies” are entities whose imain purpose is photo coverage." It's laughable - as written, it must also exclude Reuters, AFP, AP and others. But at the May 9 noon briefing, these went for once and Dujarric made it clear they and others could still go. So what is the definition? Inner City Press is informed that there is now in preparation of list of (Dujarric / Guterres) approved correspondents. But when Inner City Press asked - since it publishes photos on Alamy, more than others said to be on the list - Dujarric replied from the podium that Inner City Press is "self-centered." This is sleazy, and worse. We'll have more on this. Inner City Press has never even tried to ask a question at a UN photo op. It's that Guterres wants to prevent coverage, for example of his "warm regards" to Sisi. This is corrupt. The UN Media Alert for May 5 listed a “Portuguese Language Day Celebration;” when Inner City Press asked the spokesman for UN Secretary General Antonio Guterres it was told there would be remarks by Guterres, who is increasingly rarely in New York. Events in the UN Media Alert are open to all journalists - but in today's UN, rules mean little. On May 5 UN Security stopped Inner City Press saying, No, I know who you are. Another UN Security Officer asked, Why don't you like the UN? Haiti cholera impunity came to mind, or UN Security Deputy Chief McNulty throwing Inner City Press' laptop on the sidewalk when it was evicted (audio here) for covering an event in the UN Press Briefing Rule - also ostensibly open to all journalists. On My 5 while UN Security was focused on making it impossible for Inner City Press to do its job, they allowed children, presumably Lusophone, to play on the UN's slavery memorial, which its Department of Public Information took money for from now convicted UN briber Ng Lap Seng, even according to the UN's own audit. The UN was turned into Antonio Guterres' Lusophone garden party. Any number of state media, like rarely present Egyptian Akhbar al Yom to which DPI under Alison Smale continues to assign Inner City Press' long time work space to, could enter and cover the event without no interaction much less blocking by UN Security. (Smale retweeted Guterres' Portuguese language self celebration, here - but could not or would not assure that the Press could cover the event, in the Media Alert, and has not in eight months responded to 5000 signature petitions and request for reinstatement and rules). The May 5 targeting of Inner City Press -- "I know who you are" -- is allowed by downgrading and keeping down Inner City Press as "non resident correspondent," while giving full resident correspondent status to no-show state media like Akhbar al Yom's Sanaa Youssef who has not asked the UN a question in more than a decade. Inner City Press, by contrast, is required to have a minder. But the UN is a place now of targeted censorship - the cancellation by the UN Alliance of Civilizations is just the most recent example. We'll have more on this.